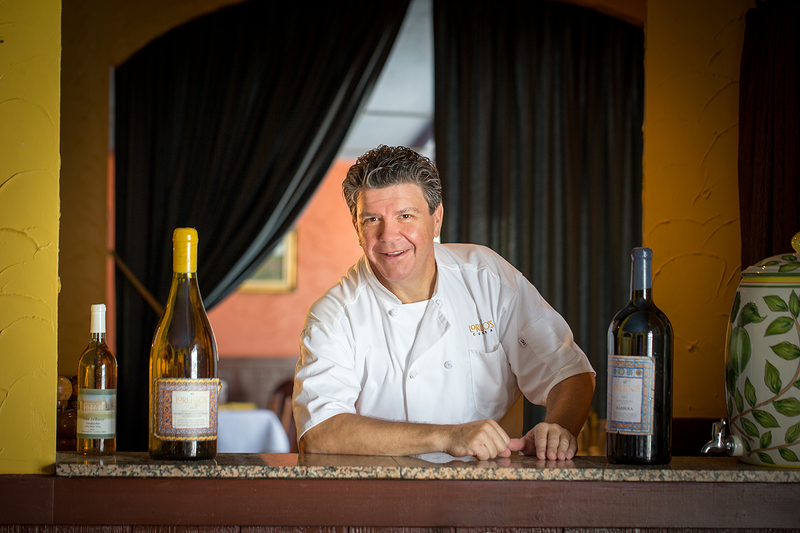 Inspired by dishes from his mother's kitchen, Rich LoRusso has been serving up Italian fare for nearly three decades. When Rich and Terri LoRusso opened LoRusso’s Cucina almost three decades ago, many of the recipes came straight from his mother’s kitchen. “This restaurant emulates how I was brought up,” he says. Nothing unusual in that, except the matriarch of this Italian restaurant was Irish.“My grandmother taught my mom to cook,” LoRusso explains. He, in turn, always loved to hang out in the kitchen, soaking up knowledge from his mother and his paternal aunts. Rich and Terri met as teenagers working in the same restaurant, he as a cook and she as a busgirl. They married five years later. Four years later they opened LoRusso’s, which moved to its current location on Watson Road in 1989. “It’s a mom-and-pop thing – it’s me and her, and now we’re hitting 29 years.” They also own Leonardo’s Kitchen and Wine Bar on the Hill. LoRusso’s Cucina is a white-tablecloth, destination restaurant. From the beginning, LoRusso stayed away from the cream sauce-heavy, tomato sauce-heavy, provel cheese-topped dishes so common in St. Louis’ Italian restaurants. He changes the menu twice a year, but also introduces specials according to what’s available. He’s also posted the recipes for three dozen favorite dishes on his website, lorussos.com. “This is the All-Star menu. Everything in this menu sells at a high clip,” he says. 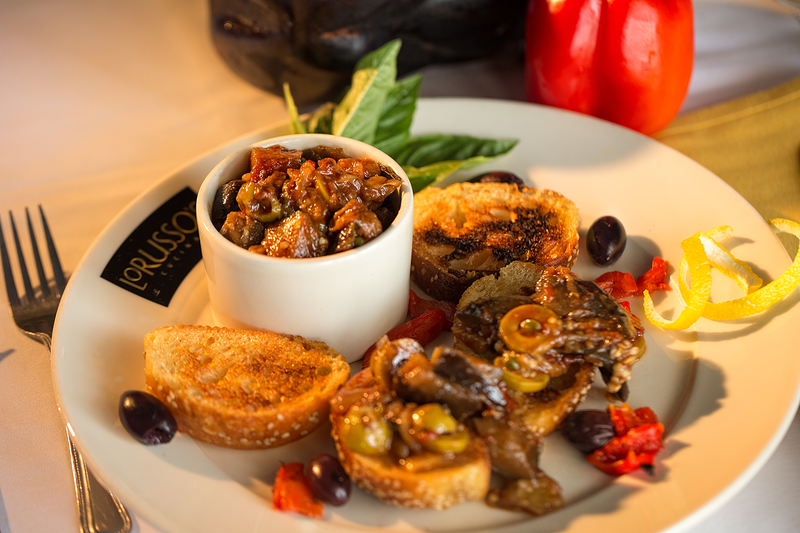 Caponata: Serve this sweet-and-sour eggplant as an appetizer with grilled bread or as a sandwich spread. It’s loaded with contrasting yet complementary flavors – tender sautéed eggplant, salty capers, sharp olives, rich balsamic vinegar, all in a timeless recipe from LoRosso’s grandmother Serafina. 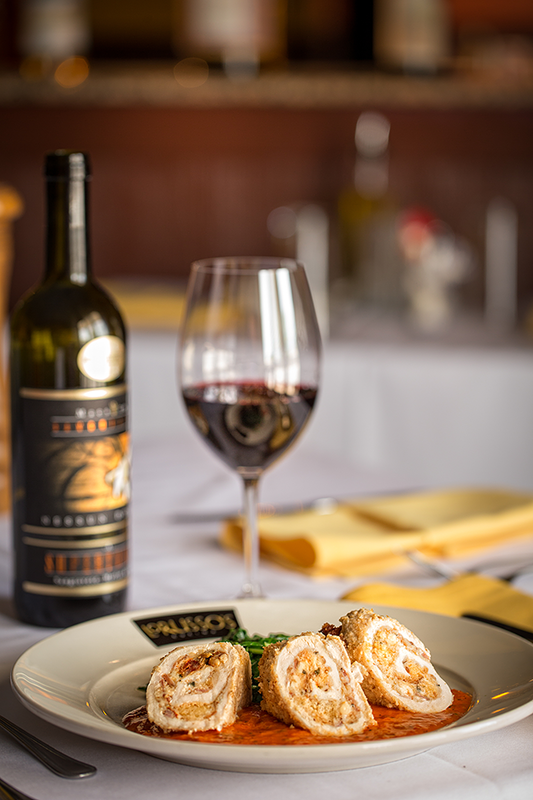 Chicken Spedini: In LoRusso’s version of this St. Louis favorite, breaded boneless, skinless chicken breasts are rolled around a stuffing that features prosciutto, provolone, pine nuts, pesto and marinara. After the chicken is cooked until golden, it’s topped with lemon butter and roasted red pepper sauce. 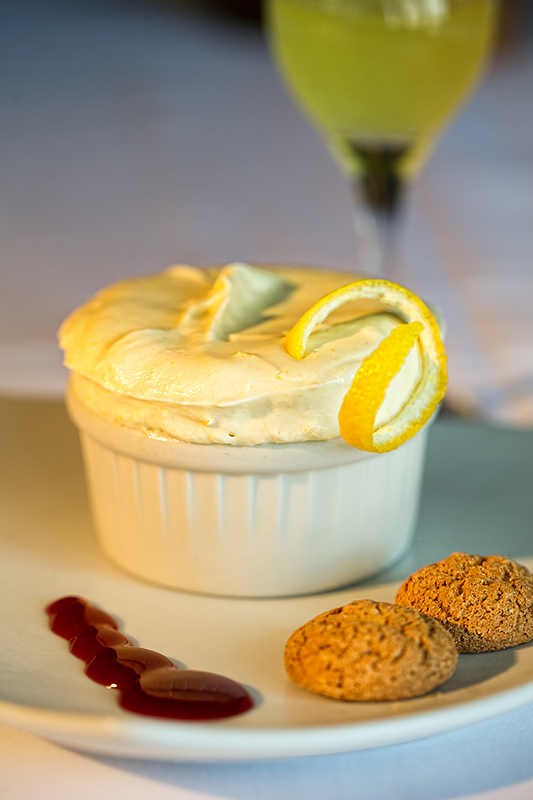 Quick Limoncello Gelato Soufflé: Limoncello is a lemon-infused Italian liqueur enjoyed cold on hot summer days. LoRusso goes a step further, beating egg yolks and whipping cream to use in a rich soufflé, then freezing the mixture to serve icy cold.